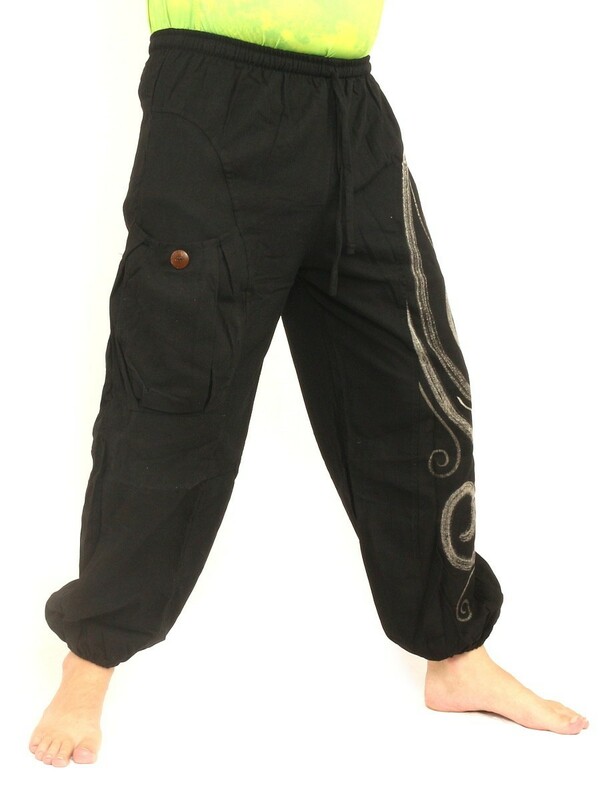 ✅ Great for For travellers, backpackers, concerts, festivals, chill out, lounging, as casual street wear or every occasion where loose fit is a must. 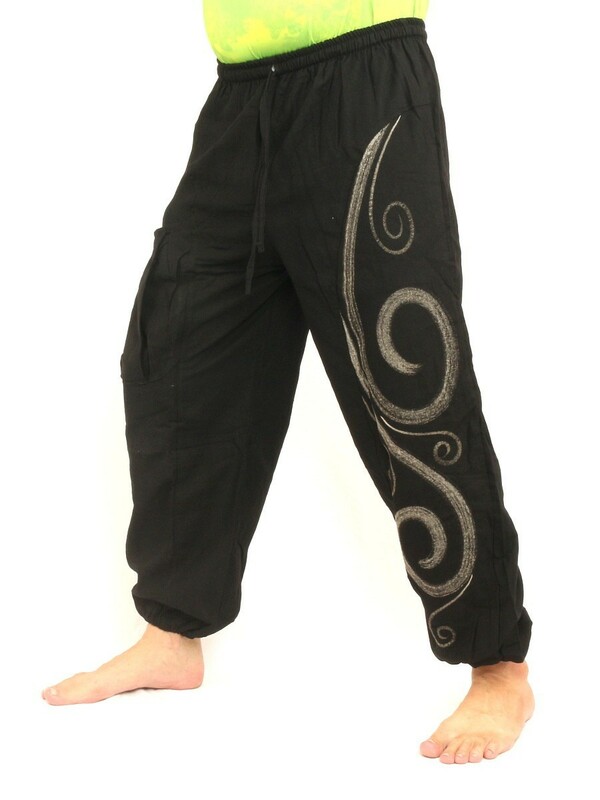 Made in Thailand with Love With these Thai Harem Pants you are going to buy an outstanding, unique product. 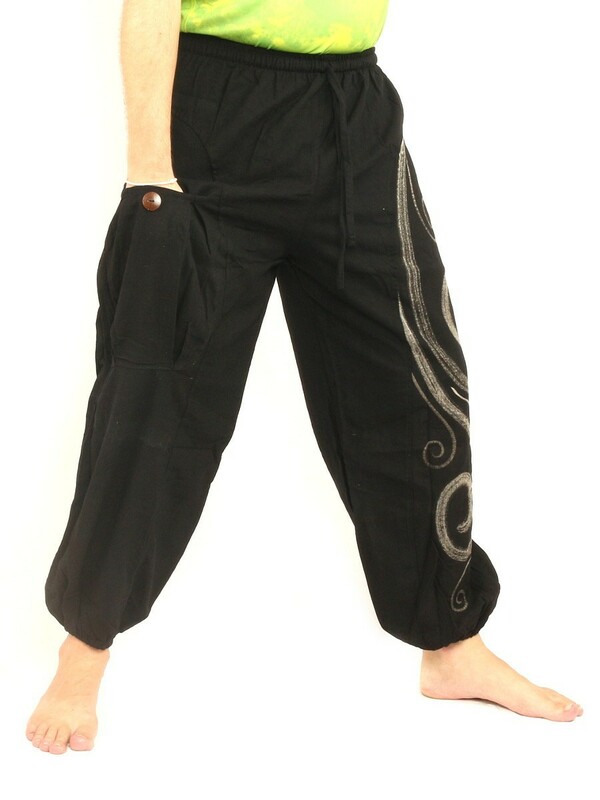 This pants is made of high quality cotton and in a one size fits most style, very comfortable to wear. Most pants are unisex, suitable for men and women but please compare the size of the pants, especially length, to similar pants you already own. Excellent for times when loose and comfortable is a must. 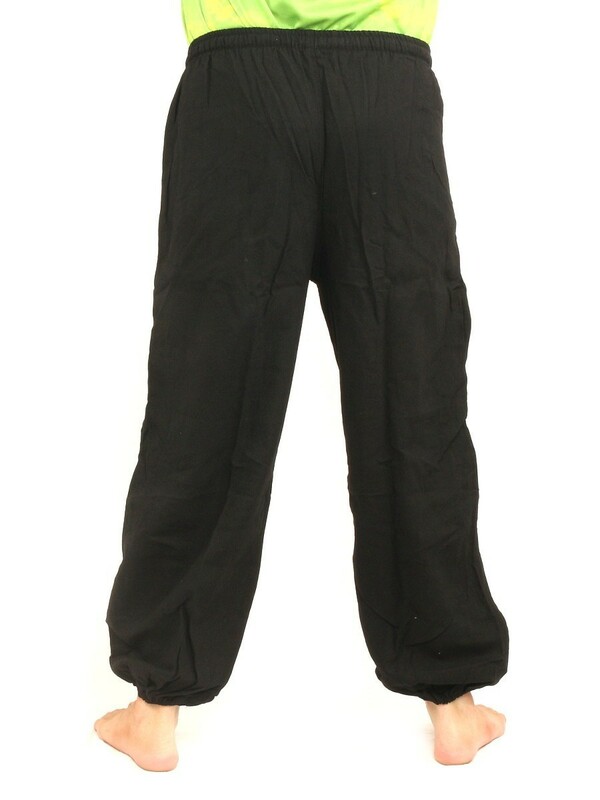 Ideal as: casual wear dance pants leisure wear Your perfect companion for festivals and concerts yoga backpacking beach bumming skateboarding / free running / parkour meditation chill out lounging Care instructions: Wash separately, machine wash delicate cycle or hand wash and hang dry. Attention: Slight color variations are possible due to different screen settings.